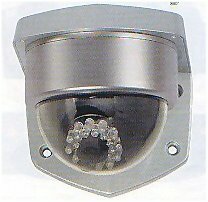 First of all, this dome camera is wonderful home security for guarding your life! Hence, with easy hiding capacity, this Dome Camera is most suitable to monitor houses, shops, offices, factories, warehouses, garages, stairways, hallways, etc. New vandal proof housing. Delicate appearance. 40m IR distance. Consequently, its 4-9mm Varifocal Lens, lens adjustable from outside. Additionally, this professional camera with durable features and lightweight which is easy to carry and use. Asa a result, the Color CCD Camera is easy to setup and simple to operate. Consequently, it’s time to get one this SONY HAD Camera. It will not let you down..New vandal proof housing dome camera.The dome camera has delicate appearance.40m IR distance dome camera.4mm-9mm varifocal manual iris lens. Therefore, C Series network cameras from Sony are a great way to protect people and personal possessions in a wide range of environments, from cafes and restaurants to small stores, gyms and offices. They’re a unique solution, packing loads of smart security features into a handy all-in-one package.